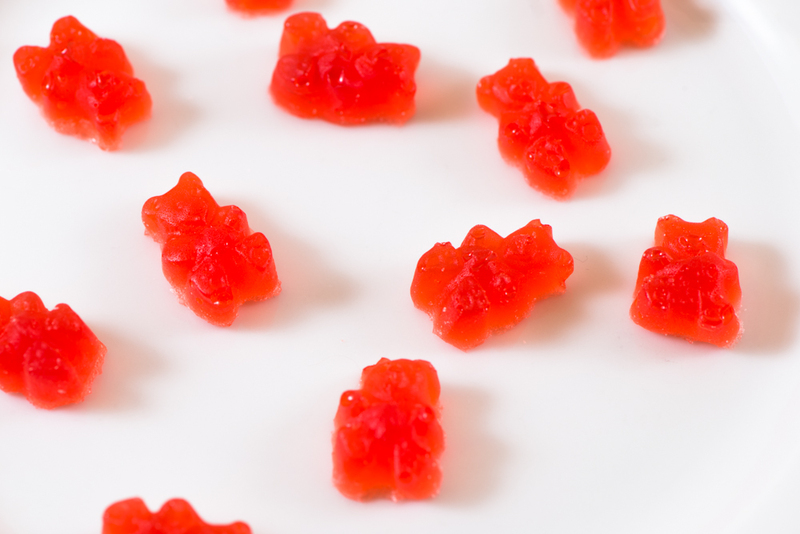 I recently saw a post on the blog Fructopia about a company called Frusano that makes fructose-free gummy bears and other products. Sadly, that company is based in Germany, so I thought I was out of luck. Then my new BFF (best fructose friend) Megan told me they ship to the United States! Shipping is about $60 but I really didn’t care and ordered a bunch of gummies and even some chocolate! It felt like they took around forever to get here. I thought for sure they were lost, but in reality it only took 2 weeks. The bags of gummies were much smaller than I expected. I thought they would be the size of the Haribo bags you get at the store, but they are travel size. Thankfully they aren’t packed like single serving chip bags where the bag is half air–they are pretty well stuffed. Megan and I thought they were amazing, but her husband tried one (I was pretty stunned by her sacrifice, there’s no way I would have given one to my husband) and he said they were good, but not very sweet. Whatever. They were sweet enough for us! Then we tried the chocolate. I had ordered the ones that came in little nugget form with puffed rice mixed in because Buncha Crunch is my all-time favorite candy, but we both thought there was something a little weird about the puffed rice and it made the chocolate taste a little “off”. We both agreed that we would have no problem eating the whole bag, though. 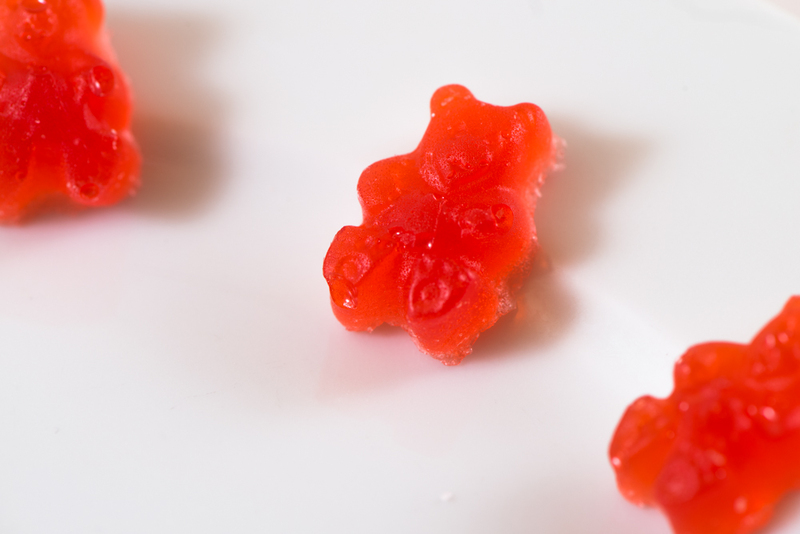 As much as I loved these products (even the weird chocolate–it grew on me after a while), paying that much for shipping is pretty terrible, so Megan and I decided to try making our own gummies. The story of Goldilocks and the Three Bears paralleled our attempt quite well (we are both blond, after all). The first ones we made using a bubblegum extract turned out way too hard. Then we used pineapple juice and for whatever reason, it didn’t work, so those were too watery. 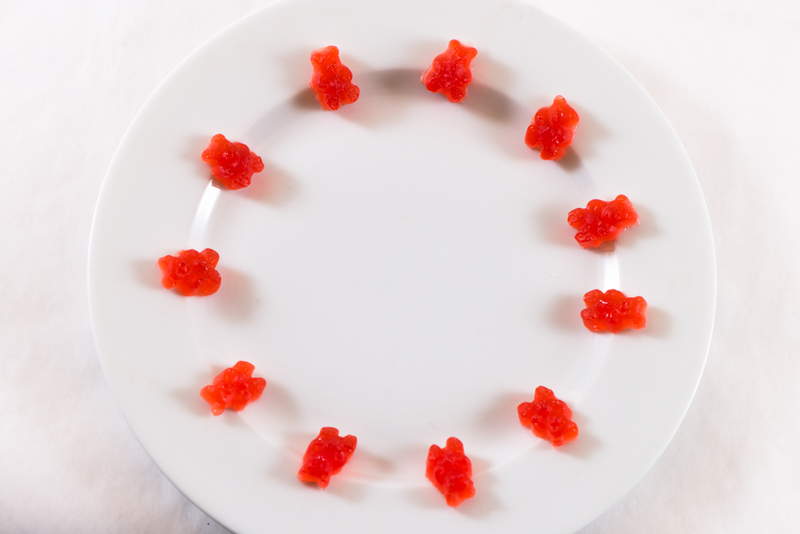 But our third batch, the pink lemonade bears, were just right! Unfortunately, since then my Mediator Release Test has indicated that I shouldn’t have cranberry, so the pink lemonade version is out for me, but I’m really excited to experiment with new flavors! ***UPDATE: I’ve made these a few different ways since posting this, and my new favorite way is to ditch the glucose syrup, puree the fruit and leave the pulp in. Mango works splendidly. Wash and hull the strawberries. Add them into a pot with about 1/8th cup of water. Bring to a boil then cover and simmer for 45 minutes. Pour through a cloth into a bowl and (when cool enough, you might want to put it all in the refrigerator for a bit) squeeze all the juice you can into the bowl. If you didn’t put your fruit in the fridge, do so now so the juice gets cold. When it’s cold to the touch, add in the gelatin, stir until there are no dry granules left, and let sit for 10 minutes. Meanwhile, add the glucose syrup to a pot (I used the same one my fruit simmered in), and set over medium-low heat until melted. Add in the fruit juice/gelatin mixture, dextrose, and citric acid. Stir until it has all dissolved. Pour into silicone molds, using a spatula to evenly distribute the liquid. Let sit for 3 hours, or put in the fridge for 1 hour. Extract from the molds (if you didn’t use glucose syrup put them in the freezer for about a day, otherwise this is a huge chore) and store in an air tight container. 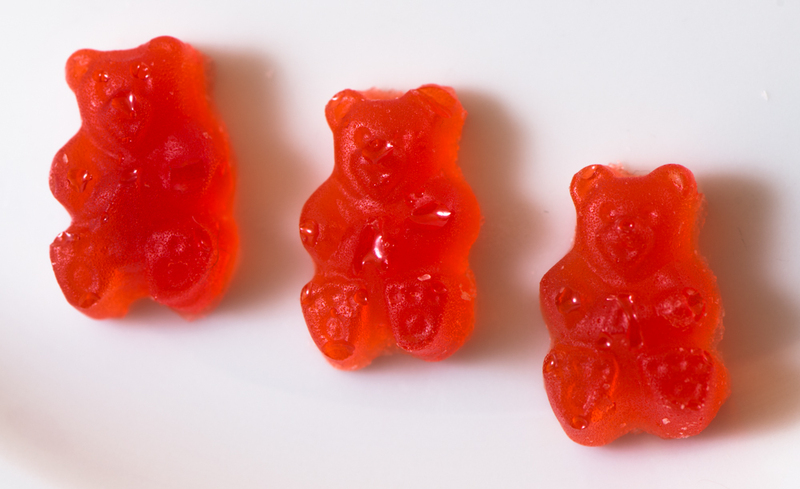 If you want your gummies to be texturally like the store-bought kind, just let them sit for a few weeks and get stale! This entry was posted in Recipes and tagged dairy free, FODMAP, fructose malabsorption, gluten free, homemade gummy bears, strawberry by nosugarlessgum. Bookmark the permalink. There weren’t a lot of options. I was lucky to find one! I think this one is from a place that makes soaps and candles. I’m glad that you liked the Frusano gummy bears. They really need to work on their shipping costs though! 😉 Your recipe sounds amazing, will definitely give it a go! Agreed! Let me know how they turn out!